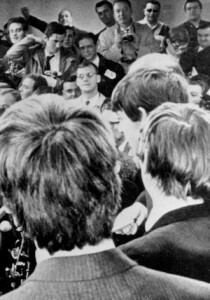 From their early performances at the Cavern Club in Liverpool and the Star Club in Hamburg to their final concert in San Francisco in 1966, The Beatles’ extensive touring schedule brought them worldwide fame but eventually burned them out. 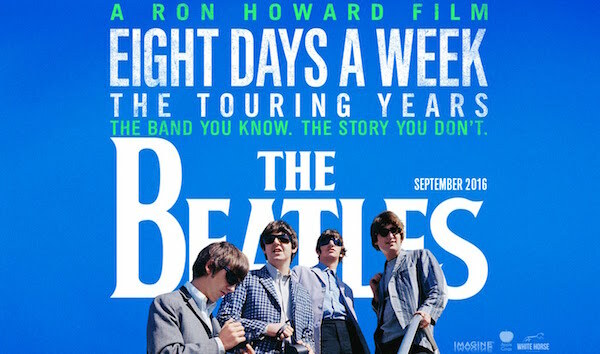 Beatles fan Ron Howard has compiled this fascinating documentary, featuring contributions from from a ‘cast of thousands’, notably Paul and Ringo. Eight Days A Week both thrillingly relives old memories and provides fascinating new insights, with footage from many great shows. In particular, screenings at the David Lean Cinema will include 30 minutes of footage from the Shea Stadium concert that is not being shown at all venues. while the Trailer on its own can be seen below…..